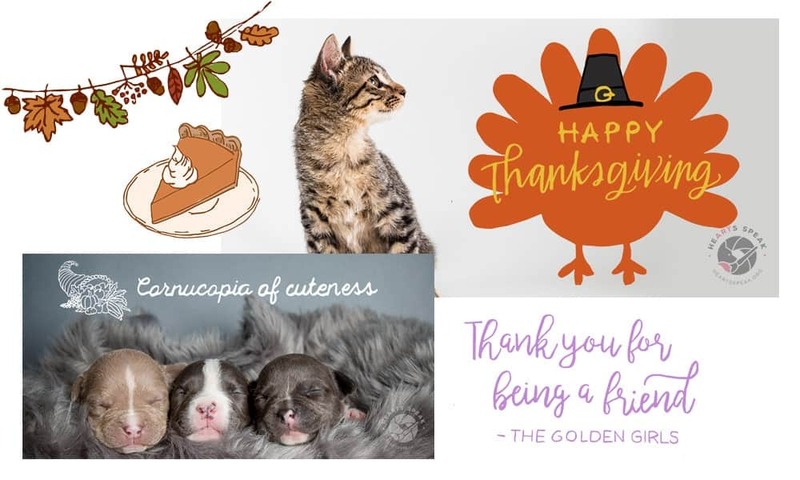 Grab your favorite family recipe, your stretchy pants, and these adorable image decorations for some Thanksgiving pet promos sure to please a crowd! There’s so much to be thankful for — and the animals we share our lives, work, and hearts with are right at the top of the list. These HeARTs Speak-exclusive image embellishments make for simple and eye-catching social media promos. Check out our tutorial videos here under ‘video learning’ for a how-to!